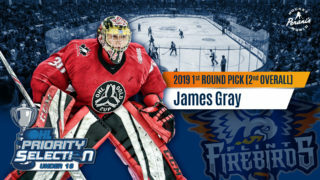 Flint, Mich. – The Flint Firebirds announced today that the club has completed a trade with the Hamilton Bulldogs. In the trade, Flint receives defenseman Riley McCourt from Hamilton. 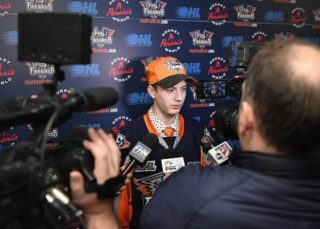 In addition, the Firebirds receive Hamilton’s second-round pick in the 2023 OHL Priority Selection and Hamilton’s fifth-round pick in the 2023 OHL Priority Selection. In return, the Firebirds trade defenseman Nicolas Mattinen to Hamilton. Should Mattinen play his overage season with the Bulldogs, Flint would also receive Hamilton’s second-round pick in the 2024 OHL Priority Selection. Last season, the defenseman racked up 32 points, scoring 10 goals and adding 22 assists in 42 games with the St. Catharines Falcons of the Greater Ontario Junior Hockey League (GOJHL). Additionally, he notched 14 points in 15 playoff games. McCourt played his AAA hockey with the Niagara North Stars where he earned 20 points (9G, 11A) in 33 games. 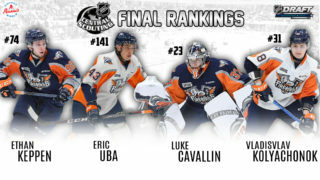 McCourt was selected by Hamilton in the third-round (45th overall) of the 2016 OHL Priority Selection. He comes to Flint with more than two years of eligibility remaining, having played in 35 OHL games. The 5-foot-11, 185-pound defenseman is a native of St. Catharines, Ont. McCourt is expected to join the Firebirds for practice in Flint tomorrow, Jan. 10.